Non Profit Organizations that operate residential homes demand quality energy improvements and San Diego based Phoenix Energy and Construction's goal is to fill these needs. Non Profits realize that utility cost savings to operate their facilities saves money each month and improves their bottom line. Non Profit Organizations that operate Residential facilities and Group homes have limited resources and budgetary constraints so saving money is important. Phoenix Energy and Construction, based in San Diego, has qualified as a Participating Contractor In Energy Upgrade California, a program operated by SDG&E in San Diego and PG&E in Los Angeles. This program is to reduce energy use and create more comfortable, healthy and safe environments in homes. Home owners can achieve up to $8000 in rebates and incentives to upgrade their attic and wall insulation, home heating and cooling, windows and perform weatherization. This program can be combined with California Alternate Rates for Energy (CARE) programs offered by the Utilities and together offer substantial savings for Non Profits that operate Group Living Facilities. A few qualifications for this program are outlined below however each utility has its own application and its own requirements. If facility is licensed by organizations such as the Community Care Licensing Division (CCLD) of the State Department of Social Services, the Licensing Branch of the Department of Alcohol and Drug Programs, or the Department of Health Services, a copy of the license must be provided. If facility does not have a conditional use permit or an appropriate state license, facility must provide satisfactory proof to the utility it is eligible to participate in CARE. Facility must provide services, such as meals or rehabilitation, in addition to lodging. 100 percent of the residents must individually meet the CPUC’s existing income eligibility criteria for a single-person household. Satellite facilities of a qualifying nonprofit corporation, must be included under the corporation’s license, meet all eligibility criteria, and have utility accounts in the corporation name. Facility must provide a minimum of six beds each night for a minimum of 180 days each year for persons who have no alternative residence. Each resident’s total annual income from all sources, taxable and nontaxable, cannot exceed $31,800. No resident may be claimed as a dependent on someone else’s income tax return. Your facility may qualify for a 20 percent discount onyour SDG&E® bill for residential rates. For commercial rate schedules, a 20 percent discount will be calculated onall rate elements of the bill for gas and electric charges. Corporation operating facility must have IRS tax-exempt status under Code 501(c)(3). Facility must be licensed by the appropriate state agency such as the State Department of Social Services, Department of Drug and Alcohol Programs or Department of Health Services, or provide other proof of eligibility satisfactory to the utility. 100 percent of the residents must individually meet current CARE eligibility guidelines for a single-person household. 70 percent of the energy supplied to the facility must be used for residential purposes. Facility must have a Conditional Use Permit or provide other proof of eligibility satisfactory to the utility. Facility must provide at least six beds each night fora minimum of 180 days per year for persons who have no alternative residence. 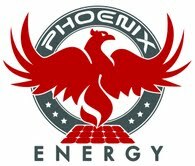 Phoenix Energy and Construction promotes its services to Non Profit Organizations on its Home Performance Radio Show, broadcast throughout Southern California, every Friday, 4-5PM, on KCEO AM 1450 and KSPA AM 1510.